Working to help alleviate poverty in rural Cambodia, Singing Kites is fully operated by volunteers including the Board of Directors. All staff are local Cambodians. June fell in love with Cambodia and its people when she visited Phnom Penh in 2008. As fate had it, she met Tith Tek on this visit. He told her of his dream to build an Education Centre in his village and the work that Lyn Hotchin was doing in Toowoomba to raise funds to make this a reality. June quickly came on board and joined the team as a Fundraising Coordinator on the Gold Coast. She and her Gold Coast team are focused towards procuring funding for further educational opportunities for the brightest and most motivated graduating students. Carolyn lives in Melbourne. After many years as a secondary teacher, she started her ELT career in the Language Centre at Taylors College in 1997, quickly moving into the management role of Director of Studies. Her ELT career has taken her to London, Brunei, Sydney and Auckland and now Cambodia where she works to build the language and teaching skills of the staff at TCEC, a Singing Kites Project. She is also helping to frame guidelines and develop classroom resources to support volunteers who come to the school. Sally lives in Herberton, a small rural town in Far North Queensland. She is a highly qualified and experienced primary and secondary school teacher and teacher librarian. She has also worked as an advisor teacher-librarian to remote schools in Queensland. Sally is a regular visitor to our school in Tanop and has recently taken on the responsibility of training one of our TCEC teachers to computerise the library collection and establish a user-friendly Lending Library service, the first of its kind in the province. Sally has been able to build up the confidence and independence of the library staff to such an extent that reading, borrowing and visits to the Library are now one of the most frequent and popular activities for staff and students alike. 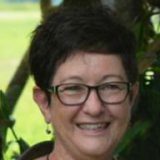 Donna lives in Toowoomba and has had an interest in literacy development since studying linguistics as an undergraduate. She has volunteered for many years at her children’s schools, helping with reading programs in the classroom and mobile library services in outlying areas. Donna has volunteered as an ESL support tutor at TAFE Queensland for several years now, working primarily with refugees living in the Toowoomba region. In her regular visits to TCEC, Donna works closely with the students to help them develop and practice correct pronunciation and also with the teachers to show how fun learning activities can be introduced into lesson planning. Greg is a well respected and highly regarded dentist practising in Toowoomba. He has a Bachelor of Dental Surgery from Adelaide University and has undertaken post graduate research in periodontal disease. He has worked in South Australia, New South Wales and Queensland as a dentist and has taught dentistry to undergraduates at Queensland University. Greg founded the Oral Experts Group of dental surgeries in Toowoomba, which is a major sponsor of the Singing Kites Dental Clinic which he and his associates have helped equip and set-up in Tanop Village. He is also a generous donor to Cambodian World Family (CWF), our partner organisation in Phnom Penh. He has been instrumental in ensuring that our dental clinic staff are as highly trained as possible in order to deliver best practice dental treatment to our Cambodian community. Chris is a dentist who lives in Western Australia. He first visited Cambodia in 2011 to volunteer with the Phnom Penh dental group Cambodian World Family (CWF) and has returned every year as a volunteer to deliver much needed and free dental treatment to Cambodian children who would otherwise have no access to any dental care. Chris is passionate about improving the lives of Cambodian people through the implementation of essential oral health programs. His involvement in the Singing Kites Dental Project has enabled him to extend his reach to the delivery of dental care to severely disadvantaged rural Cambodian communities. Tith is a founder the Tanop Community Education Centre, working with Lyn Hotchin and others to help build and create what exists today. Tith was born in Tanop Village in 1977 during the dark Khmer Rouge times. His parents were uprooted and forced to work in labour camps growing rice for the Khmer rouge cadres. It was a constant battle to stay alive and survive the brutality of the Khmer Rouge regime. 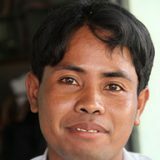 Tith has a passion for education and after a long struggle financially to complete his schooling, he enrolled in a teaching degree at Build Bright University in Phnom Penh. He lived with the monks in the pagoda and took any job available to support himself during this time. He graduated from Build Bright University in 2009 with his Bachelor of English Literature. In 2015, he graduated with a Masters degree in Rural Development and Project Management. He is currently undertaking his PHD in the same faculty. Tith continues to live in Tanop village with his wife Sokao and his three children. Virak lives in Tanop Village with his family and three siblings. After graduating from TCEC he went on to attend Build Bright University at the weekends to study. He is currently in the third year of his Law degree. Virak has taught English at the school since 2015 and is much respected by all the students for his conscientious approach to his work and study and the commitment he shows to improving the lives of others in his village community. He has taken on an executive administrative role at the school. Sam lives in Tanop Village. He is married to Channy and they have four children. He is in charge of the sustainability farming operations and operates with two local village workers to help him. Nop, the eldest of six children, was born in Tanop Village and lives there with his wife Sokha and son Ranuth. 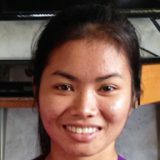 Nop started work as a teacher at the school in 2009 after completing an English course at Australian College of English in Phnom Penh. He has taught at all levels, lower primary to upper secondary, and now has a key management role at the school. He attends Build Bright University at weekends and is in his final year of a degree in English Literature. San is a much respected, retired Government School Khmer teacher who taught many of the current TCEC teachers when they attended school. She teaches Khmer literacy and numeracy and is much admired for her classroom control and clear methodology. As well as teaching, San is responsible for maintaining attendance, enrolment and test result records and helps the Director and Director of Education with the mountain of paperwork involved in running a school. 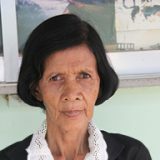 San has three adult children and has lived in Tanop all her life. Channa has lived in Tanop village with her siblings and parents all her life. She left school at 13 and worked as a weaver before deciding she wanted to have an education and complete Year 12. She put herself through Year 12 at the local high school and began teaching at TCEC in 2009. She is director of the Singing Kites Preschool Program, the first bilingual program of its kind in the province. She also teaches English at secondary level and is a role model for the newer teachers because of her meticulous preparation and delivery. She attends Build Bright University at weekends and is in her final year of Accountancy. Chettra and her family have lived in Tanop Village all their lives. She is married to a Government school teacher and has two daughters. Chettra has recently been trained to head up the Library and to manage the Reading Classes and Lending Library which are initiatives introduced to help fight illiteracy in rural areas. She also teaches Khmer literacy at primary level. Touch has lived in Tanop Village with his parents all his life. He was the first of his family to finish high school and go on to tertiary study. Touch has an IT degree from Build Bright University and has been head of the IT Program at TCEC for four years. He also teaches two English classes at upper primary level. Computer skills are not taught as a subject in rural Government Schools, despite general computer literacy being a basic prerequisite for further education and/or professional employment. TCEC is trying to ensure that Cambodian students have access to these essential digital skills.